Two of the best things about Twitter are the people you get to know on the platform and the things you get to learn on the platform. 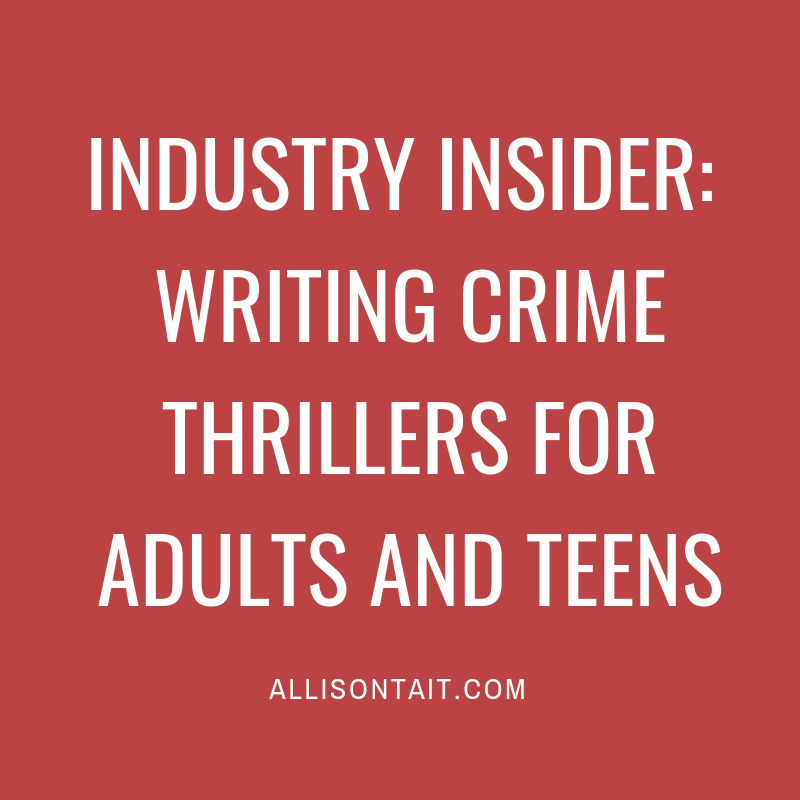 Those two things came together for me perfectly recently when the fabulous Australian YA author Ellie Marney put together a Twitter thread about writing crime thrillers for teens. You might remember Ellie from this post [6 top #LoveOzYA authors talk about writing], where I flagged the excellent podcast interview we did together, or this post [How to tell when your writing is good enough], where she shared her thoughts on this subject. Or you might remember this review from Book Boy of the first book in her award-winning ‘Every’ series. Anyway, the thread on Twitter was so fabulous that I reached out and asked Ellie to put it together into a blog post. Take it away, Ellie Marney! •Before you get started, check out some of the key elements of the thriller. Make sure you read books in the genre – focus on books you’ve enjoyed, or that you think are good examples. And read this great article by Hunter Emkay. •Begin with the threat in the story (the crime) from your very first chapter – or introduce your protagonist with some dark foreshadowing – to grab your reader from the start. •In a thriller, your villain drives the story. Your protagonist is always chasing one step behind…until the moment they catch up in the finale. 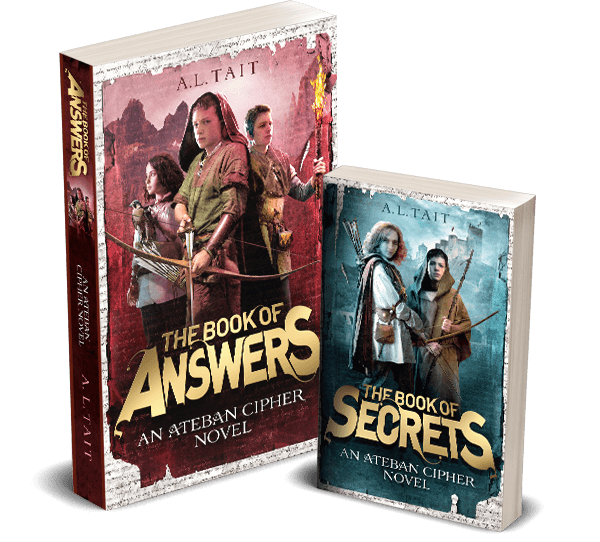 –In an action thriller, there’s always a physical battle, and your protagonist should be in physical danger. –In a psychological thriller, there might still be action, but the main conflict is the mental clash between protagonist and villain. The danger is to the protagonist’s mind or intrinsic identity and your protagonist needs to outwit the villain. •A thriller isn’t like a procedural: motives and intentions can be more important than the technical aspects of the crime. Think long and hard about why your villain is so villainous. •Always complicate things emotionally and mentally for your protagonist. Your supporting cast, for instance, should all carry some personal baggage that increases conflict. •A great way to maintain momentum is to include scenes when decisions and plans have to be made by your hero and their allies in the middle of a crisis, or while in transit. •Conflict should continually escalate (like in any good novel) and the ticking-clock element is vital. •The story engine for a crime thriller isn’t quite like a conventional Hero’s Journey arc – you have to factor in twist endings, for instance. A great primer on crime thriller story engines comes from Matt Rees in this post. –In a Suspense-thriller (combination) – the reader is waiting for something to happen. Your protagonist’s job is to stop it from happening. The reader identifies with the protagonist and becomes are participant in the race against time. •Remember to give your teen protagonist agency. Don’t let adults drive the narrative action! 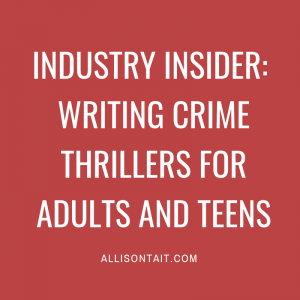 •The best way to give teen protagonists narrative agency is to give them a connection to the crime (as a witness, suspect, trainee investigator, high school journalist…Veronica Mars, anyone?). Alternatively they could have a connection to the victim of the crime, or to the villain. •Creating that connection is doubly important because when an adult protagonist investigates, it’s usually their job – they have external motivation, regardless of their internal motivation. But when a teen investigates, they need a major internal push to keep going when things get dangerous. And you want things to get dangerous. •Externally, teen protagonists will have adults telling them to stay out of it, parents who are worried for their safety etc. Not all teens can drive, or have a car. Juveniles don’t usually have credit cards or ready cash. They’re supposed to be in school, and keeping up with their friends and homework. They have a lot of external restrictions and pressures. You can use all that to create additional conflict. 1.Whether you’re writing for teens or adults, make sure your villain is an equal match with your protagonist. They should be as intelligent and driven and multi-dimensional as your hero. Don’t let your story down with a weak antagonist. Is your protagonist the villain themselves? Bonus points! 2.Ask yourself, ‘what would the reader expect to happen?‘ – then discard those ideas. You want to write the unexpected. 3.Above all remember what a crime story is – it’s a story of the human puzzle, the primal conflict between the good and evil in peoples’ hearts. What makes a normal person do evil things? Crime narratives are a form of morality play, in which the reader is made aware of a lesson to be learned about human nature. So think carefully: What is the reader learning in your story? Ellie Marney is an Australian teacher and author of nine YA crime titles, including the Every series, White Night and the Circus Hearts series. She is the winner of a Sisters in Crime Scarlet Stiletto Award and a Davitt Award, and been shortlisted for the ACWA Ned Kelly Award. Find out more at Ellie’s website. Are you new here? Welcome to my blog! 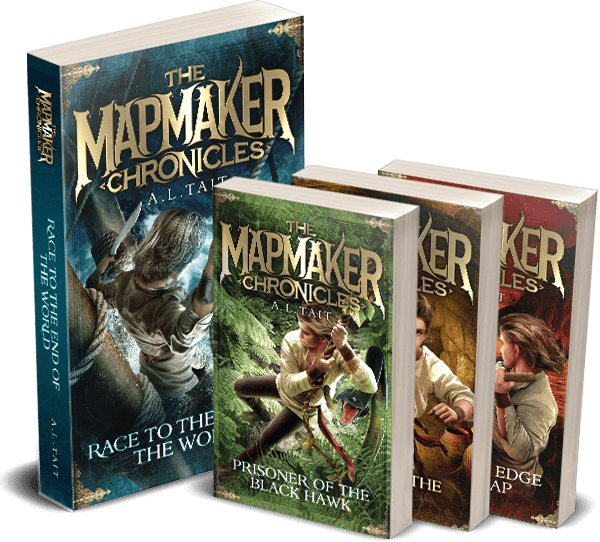 You can find out more about me here, and more about The Mapmaker Chronicles and the Ateban Cipher, my epic adventure series for middle-grade readers here. Thanks for visiting!